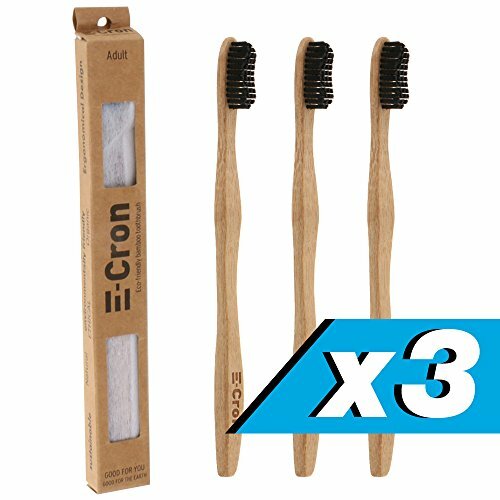 3 x E-Cron Bamboo Toothbrush (Black) with Eco-friendly, 100% organic and biodegradable toothbrush handle. Your Natural Dental Care with the clean and warm touch of the bamboo. Product prices and availability are accurate as of 2019-04-11 23:01:07 EDT and are subject to change. Any price and availability information displayed on http://www.amazon.com/ at the time of purchase will apply to the purchase of this product. Did you know that bamboo is not a tree but the fastest growing plant on earth? It is naturally antibacterial which means that there is no need to use fertilizers or pesticides during its cultivation. This additionally keeps Nature safe and clean. Be the CHANGE and quit plastic toothbrushes. 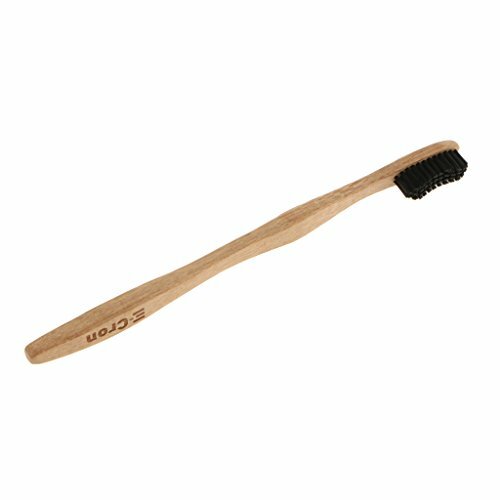 The E-Cron bamboo toothbrushes are the best alternative to your plastic toothbrush. They are all ecological, including the packaging. It comes in a compostable wrapper made from plants. The outer box is made from 100% recycled paper and is also biodegradable - no tape or glue is used. It is recommended by dental to replace used toothbrushes once per month or by first signs of wear off. Rinse and store your E-Cron bamboo toothbrush just like any other. If you start feeling any discomfort while using our E-Cron bamboo toothbrush or you have any additional questions, please stop the usage at once and contact our customer service team. PREMIUM QUALITY - E-Cron Products Are a Proven Symbol Of The Highest Quality In More Than 60+ Countries. All of Our Premium Products Are Trademark Protected Throughout The Whole World. GO BAMBOO - The Organic, Wild Bamboo is Naturally Hypoallergenic. It Provides a Non-Slip Surface, Which Makes it the Perfect Toothbrush Handle Material. It Is Light, Durable and Easy To Dispose. 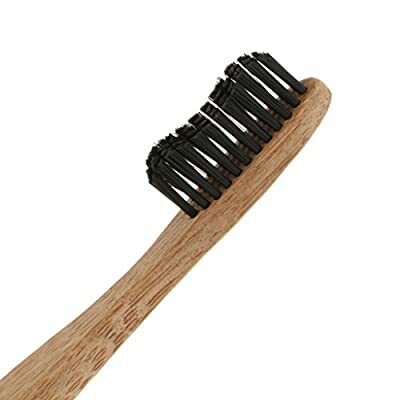 VEGAN - Anti-Bacterial, Anti-Microbial and Anti-Mould Bamboo Material And Professional Bristle Design Serve To Optimize Your Brushing Experience. 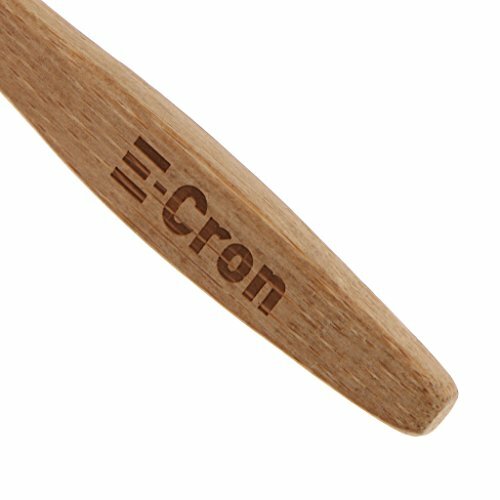 HIGH QUALITY - Enviromental Friendly and Sustainable Materials Make Our E-Cron Bamboo Toothbrush Your Best Oral Care Choice. Perfectly Cut Bristles Thanks to Unique E-Cron Laser Measurement Technology Improve Your Brushing Routine. OPTIMAL CARE - While Brushing Your Teeth with Our 100% Recyclable, BPA-Free Bamboo Toothbrush You Save The Planet From Contaminating the Enviroment, but also Receive a Perceptible Oral Hygiene.